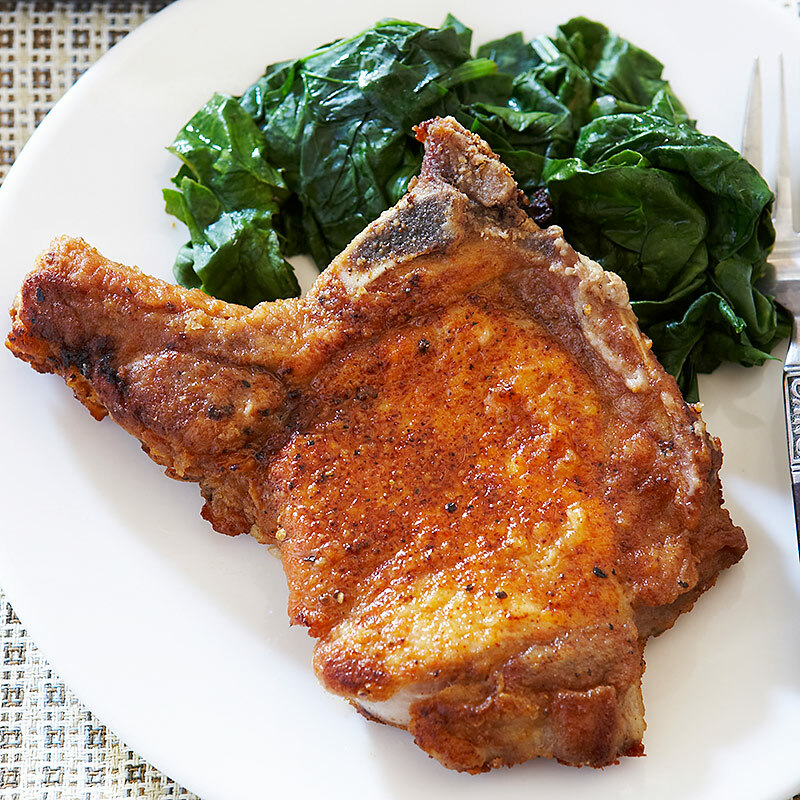 The pork chop is a family weeknight classic, whether it's loved or hated. A staple of American cuisine, the pork chop is as versatile as it is tasty, though sometimes it doesn't receive fair recognition. 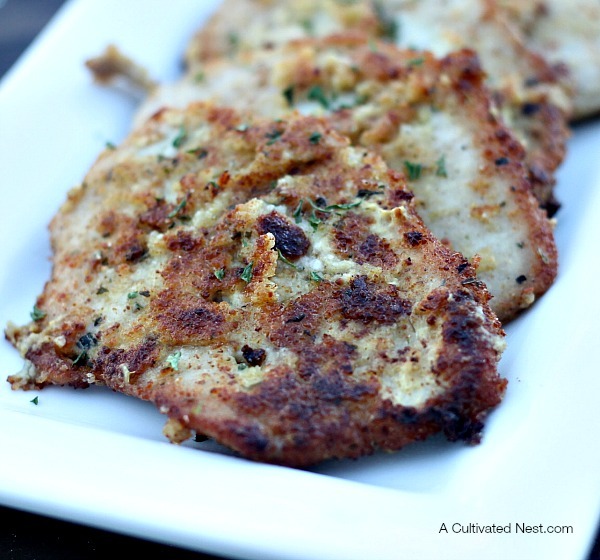 When was the last time you saw a one-pan meal that used pork chops as opposed to chicken breasts? It's time to switch up your weekday dinner rotation with these pork chop recipes the whole family will love. 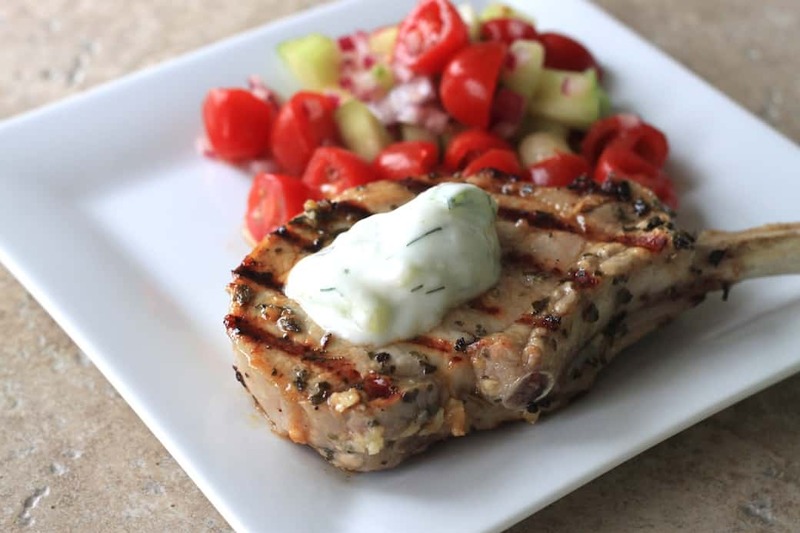 Your weeknights will never be the same with these 20 pork chop recipes. Get bookmarking. 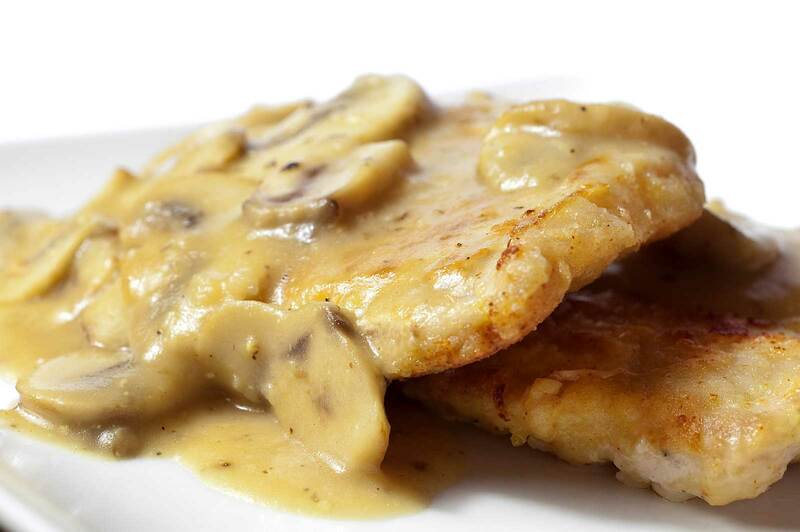 Can anything covered in gravy ever be anything other than right? This makes the perfect protein for an easy dinner. The line between barbecued and grilled gets a little blurred sometimes, but we'll let it pass on this one. Apple, sage and pork cannot be denied. This is the perfect recipe for a romantic dinner for two. This is a Southern classic. Though you might want to watch out on the sodium, you really can't! 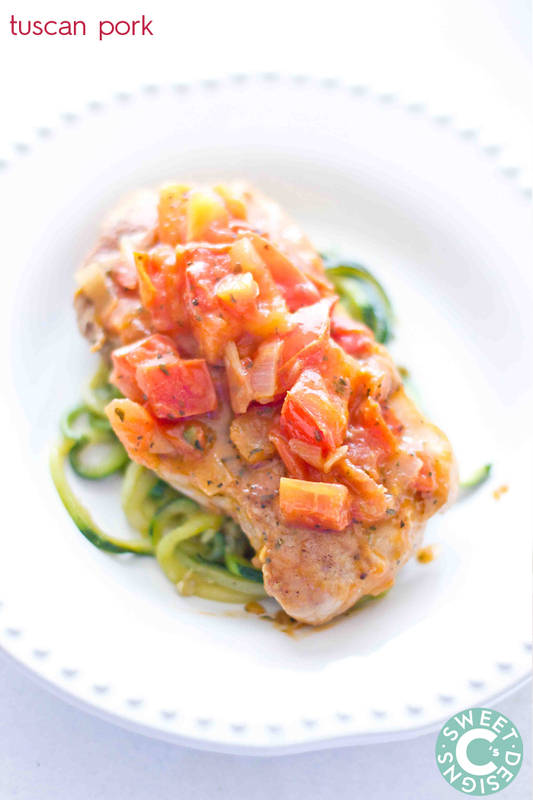 I wasn't aware that the Italians engaged in pork chops, but since they do, this recipe has more than earned its place on this list. 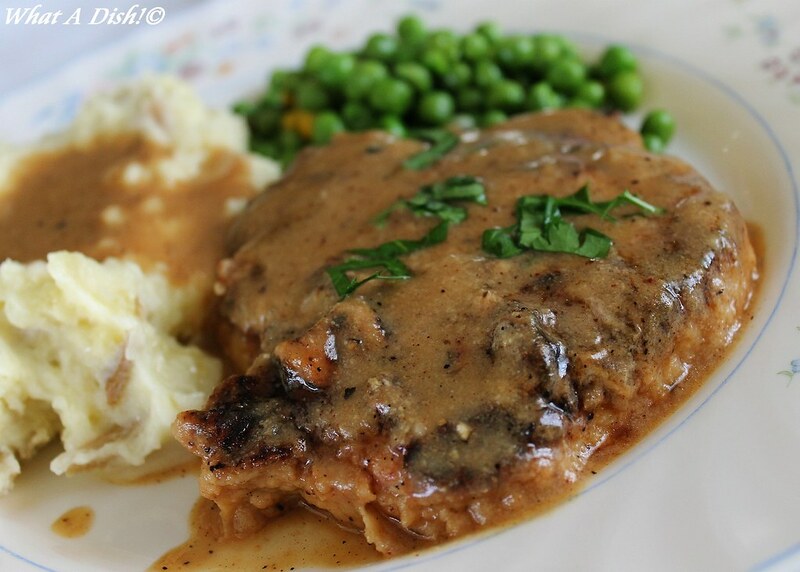 A flavorful mushroom sauce tops your perfectly cooked pork chop and would pair nicely with mashed potatoes, as well. This tender pork chop with grits and gravy gets a delicious brunch twist, although no one said you couldn't have breakfast for dinner. 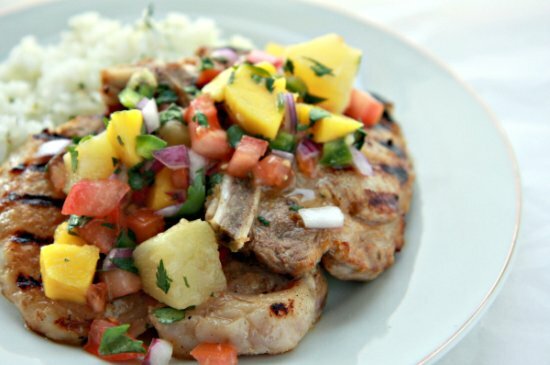 The homemade, fresh mango pineapple salsa brings this dish together. 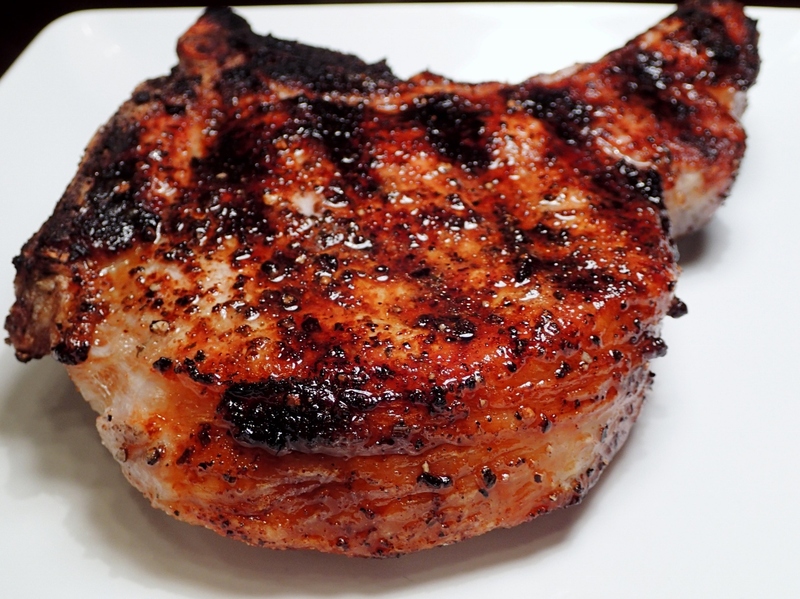 Add a little chili rub to the pork chop to really bring balance to the dish. Dijon mustard adds a lot of personality to this dish, and provides a tangy twist to the pork chop. This recipe is light, healthy, and involves a pork chop. It's a great summery take on the weeknight classic. This slow cooker pork chop meal means you can set it and forget it, just in time for dinnertime. Grab some tzatziki sauce, a fresh cucumber and tomato side salad, and dig in. This glaze gives the salty pork a sweet undertone. It's also an excuse to eat cranberries outside of the holiday season. Korean BBQ is slowly taking over America, and these pork chops bring those flavors right to your stovetop or grill. Substitute the pork for the beef and we have a certified classic on our hands. It's so easy, all you have to do is dump into the slow cooker and set until dinnertime. Why have French onion soup when you can top your pork chop with it? 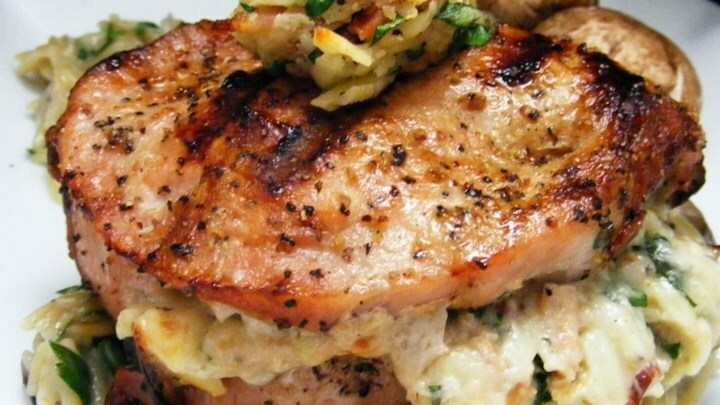 The onion base injects the pork chops with flavors and it's delicious. Peach and pork chops just makes me want bourbon. 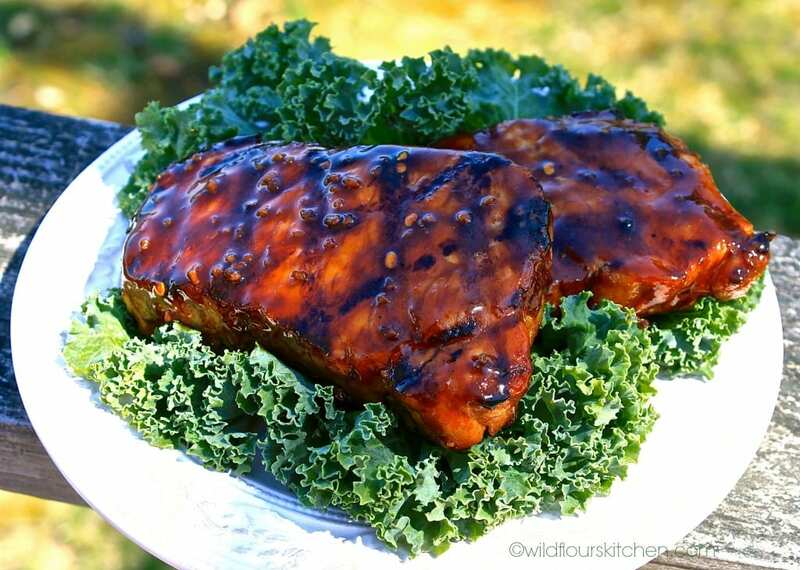 A splash of bourbon to this glaze will seriously up the ante. 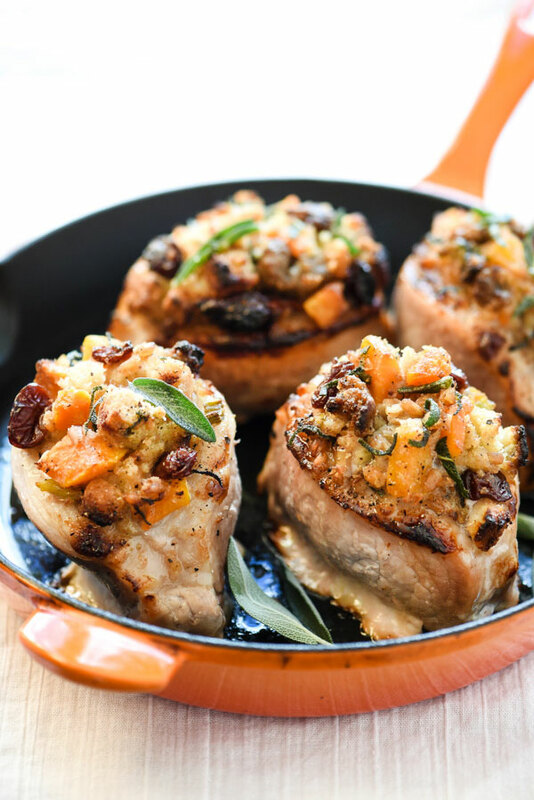 The lemon and thyme will keep this pork fresh and savory. Get more out of your Thanksgiving sides year-round with this classic skillet dinner. Any reason to not eat this food would be futile. Bacon and gouda marry perfectly atop this pork chop.